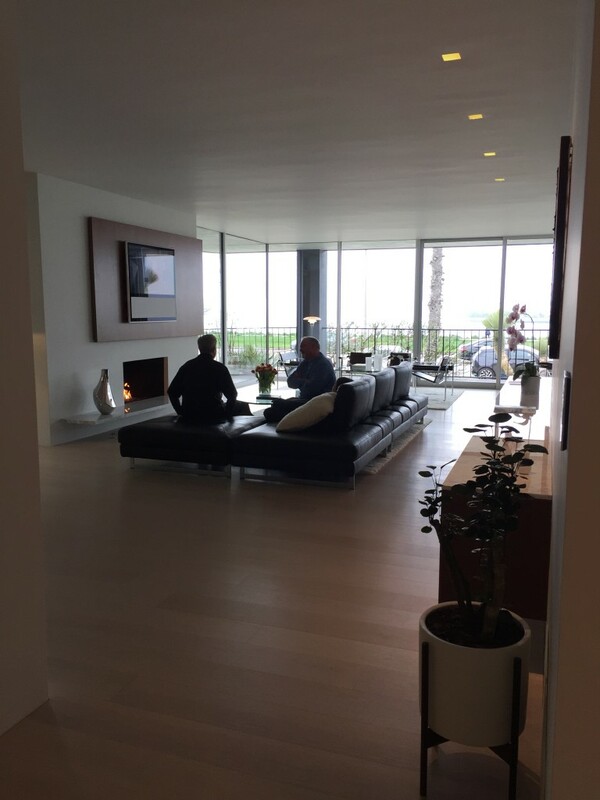 Recently the Society of Architectural Historians hosted a tour of Edward Killingsworth’s Display Home for the Marina Tower. 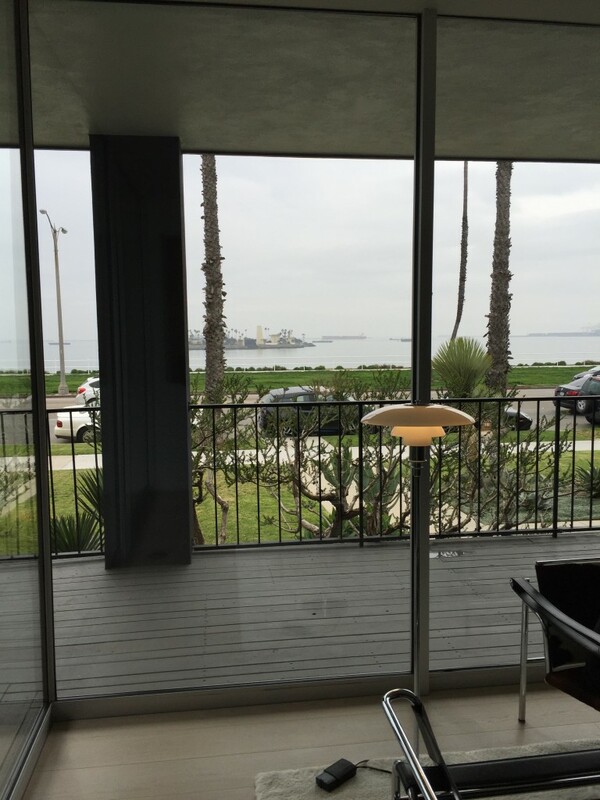 The Marina Tower was a project spearheaded by Killingsworth and would have been the first mid-rise condo building in Bluff Park in Long Beach. Some of the original marketing material for the Marina Tower. 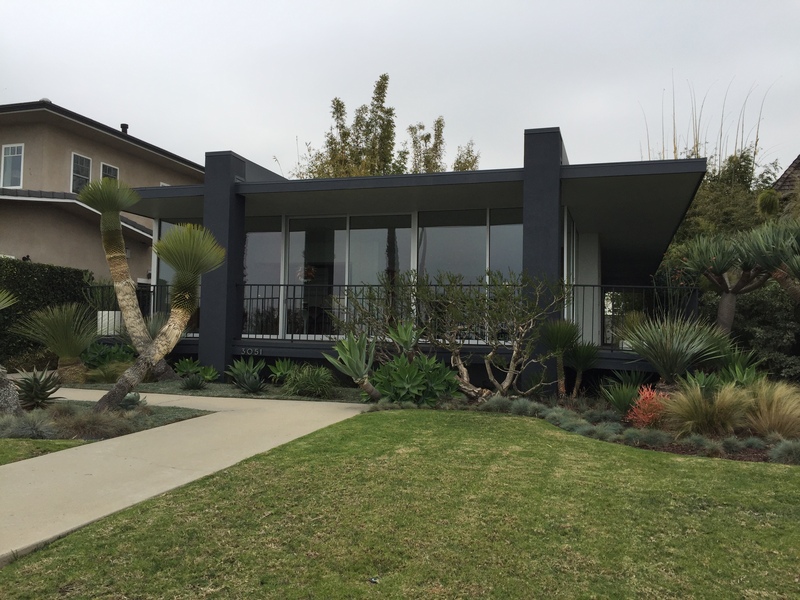 Edward Killingsworth is Long Beach’s most accomplished architect. He grew up in Long Beach, attended Wilson High School, studied architecture at USC, and lived and worked in the city his entire life. Killingsworth’s family was in the oil business and at a young age his parents moved the family to Long Beach as oil exploration in the area was growing. In turn the city was developing and transforming. Killingsworth experienced first hand the development of Long Beach landmarks such a the Villa Riviera and other notable buildings along the coast. 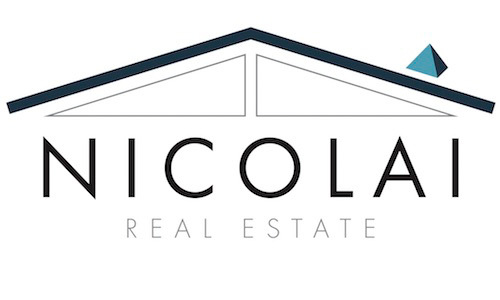 Shortly after starting his own architectural practice, he jointly ventured with a construction firm and real estate office to develop what would be Long Beach’s first modern mid-rise condominium building. With land for development becoming scarce in Long Beach, Killingsworth and his partners felt like building up made great sense for the picturesque ocean front parcel they discovered. The plan was to spend $3 million to develop a 12 story building consisting of 44 convenient and luxurious “mansions in the sky” with panoramic views from Palos Verdes to Orange County. Killingsworth designed and constructed a model home on the site that would be an exact replica of one ocean facing unit. The model was well designed and furnished with the latest modern furniture, but was only designed to stand for 12 to 18 months to then be torn down to build the Towers. Sadly due to a falling economy and resistance from the Long Beach City Council the project was abandoned, but the model was rented and later sold as a private residence. The property was listed for sale in 2013 and was purchased by a local Los Angeles architect and his wife. They lived in the home for a few months to get a feel for how the house lived and then began to restore the home to it’s former glory. Like most renovations there were many unfortunate discoveries. The roof leaked, which lead to a considerable amount of dry rot in the framing and rodent intrusion. Usually a flat roof will have some pitch to it, but this roof was framed dead flat because Killingsworth would take prospective buyers onto the roof to see the spectacular ocean views from what would be the first level of the building as parking was on the ground level. The structure was only designed to serve as a model for a short period so it was aesthetically pleasing but certainly not designed with the intent of still standing in 2016. Additionally, all the glass walls and sliding doors, flooring, bathrooms, electrical, the terrace, and kitchen were replaced, while still maintaining Ed’s original vision for the home. Ed’s wife Laura Killingsworth was there and at the age of 92 she spoke with such poise and her memory of the project and her late husband, who she called Mr. K, was so clear. She shared that in 1958 there were no high rises on Ocean Blvd and the Marina Tower “opened a whole new window, as nobody seen anything that contemporary.” After the project came apart Ed Killingsworth held tight to the model renting it and then later selling it. “Everybody loved it, the bones seemed to speak to those who lived here” Laura shared. I spoke with Laura briefly, which was quite a treat! Ed Killingsworth’s family moved to Long Beach to work in the oil business just like my great grandfather did. My great grandfather and grandfather worked with a man in the oil fields with the last name Killingsworth and Laura was very excited to hear that as she believed that was a relative of her husbands. If you have ever walked along Bluff Park I’m sure you have seen the Marina Tower Display Home. It stands out among the many Spanish and Craftsman homes along Ocean Blvd. The Marina Tower display home stands as a testament of how far ahead of his time Killingsworth was. Now Ocean Blvd is peppered with mid-rise and high-rise buildings on both sides. If you are ever in the area or looking for a nice walk, Bluff Park has reopened after a lengthy revitalization project and the Marina Tower Display Home looks better than ever. Thanks for the message and kind words! I have been working on this blog for quite some time and will be formally launching it in the coming weeks. Looking forward to getting it out there and I hope my audience enjoys it as much as you did. There will be more to come and I look forward to your feedback! Feel free to sign up for updates above on the side bar! Blake- what small world. Your mom posted this and I recognized the house right away. The Hyman’s redid this house and their daughter Jess is one of my high school best friends. They house is amazing and so is the story behind it! She got married there and it was absolutely stunning. Hi Emily…you’re right, such a small world (especially in Long Beach)! That’s so awesome that you know the owners. It was a treat to spend time listening to Laura Killingsworth speak about the history of the home and to see how beautifully it has been restored and maintained by the current owners. Definitely a special piece of Long Beach architecture.